Save money by ordering a double pack! Plus FREE shipping. Always dairy-free. Easy to mix with iced drinks, hot chocolate, smoothies, protein and all your favorites. A single packs contains 30 servings and will last all month. That's 2x the amount of store brand hot chocolate. It's best made with milk, almond/coconut milk, or cream but it's still great with plain water too! 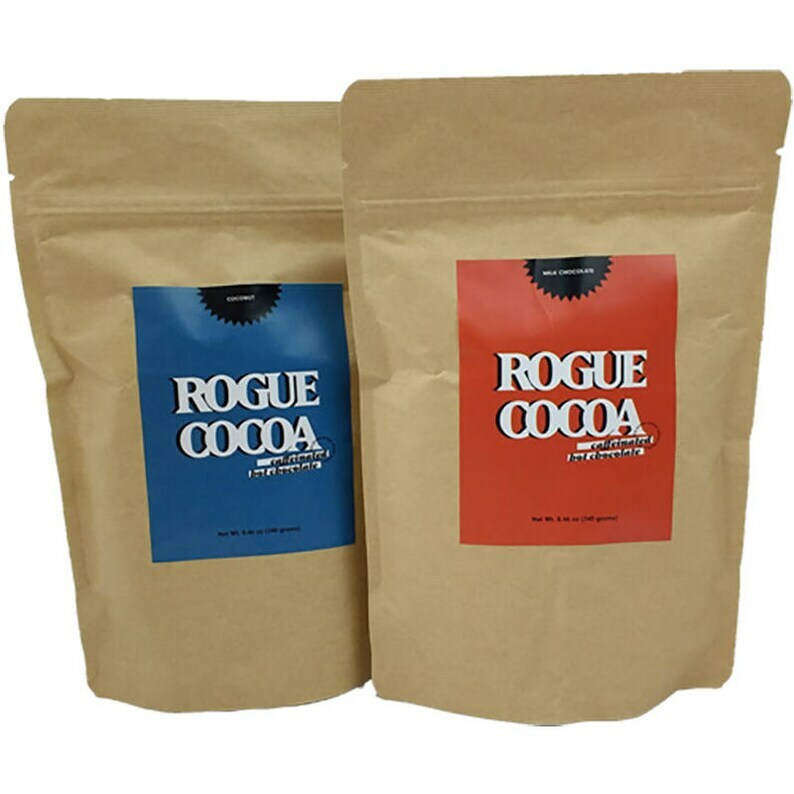 Rogue Cocoa is perfect as a substitute for coffee, soda, and energy drinks. It's pure caffeinated cocoa with no filler ingredients and a delicious gourmet flavor. This drink is not for children. It contains ~100mg of caffeine per serving and we highly recommend not giving it to children. We're a small, home-based company and we're grateful for your business! Cocoa was exactly what I hoped it would be. Great flavor and a perfect amount of zip to help get the morning going. Love! Amazing taste and gives me an excuse to drink hot chocolate for breakfast! I once poured it into my coffee and had a near religious experience. Don't try that at home kids. Loving this cocoa! The package says to make with water, but I personally think milk makes it taste that much better. Love!! It tastes so good and gives me just the right amount of caffeine for the day!! Does Rogue Cocoa contain coffee? Rogue Cocoa is 100% caffeinated hot chocolate. There is NO COFFEE or TEA in Rogue Cocoa. If you would drink a diet soda then you would drink Rogue Cocoa. What are the ingredients in Rogue Cocoa? While other hot chocolate brands are filled with emulsifiers, fillers, or additional ingredients, Rogue Cocoa gives you only the best, most simple hot chocolate mix. Rogue Cocoa only has 20 calories and 1 gram of sugar per serving. 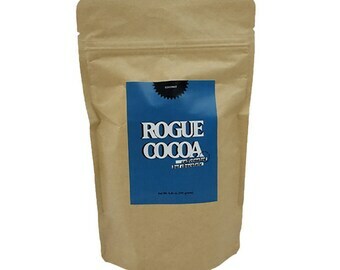 Rogue Cocoa is available for wholesale. Visit https://roguecocoa.com/vendorsbulk/ for pricing and info. What am I getting when I order? A single pack of caffeinated hot chocolate comes with 30 servings. You choose between Original Chocolate or Tropical Coconut. Each order ships within 1-2 days (except holidays) via USPS.